Country Estate Fence installed this Pacific style vinyl handrail in Costa Mesa, CA for a client who wanted a handrail to ensure their small children would be safe on this raised part of their home. 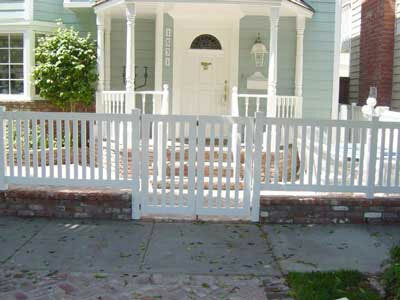 Country Estate Fence installed this vinyl two rail handrail in Seal Beach, CA. 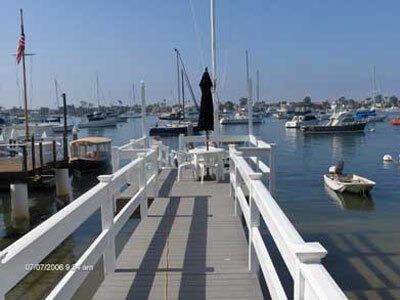 This client chose to go with a two rail handrail to complete their dock's simple look. We installed this wall topper and gate installation in Foothill Ranch, CA for a client who wanted to add a wall topper to their brick wall and a gate to match. Both the wall topper and gate are made from vinyl and built in the Pacific style. 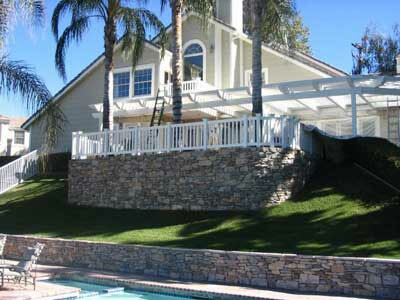 Country Estate Fence installed this handrail and gate in Dana Point, CA. 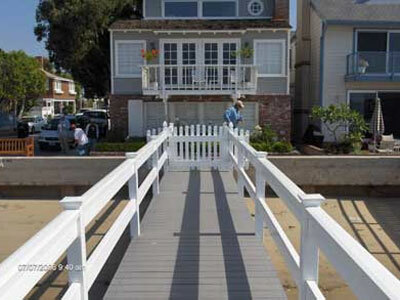 This 2 rail vinyl handrail and gate installation was completed for a client who wanted a handrail and gate for their dock so that only specific people could have access to it. 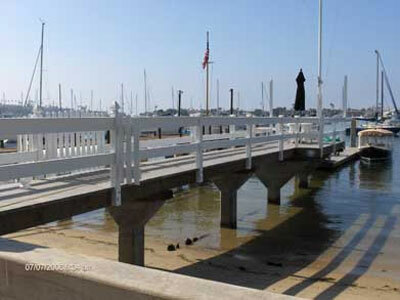 We installed this vinyl two rail handrail in Seal Beach, CA. This client chose a two rail style because they wanted their dock handrail to have a simple look.